The Orthodox Church is the original Christian Church established by Jesus Christ in A.D. 33. From that time on, the successors to the Apostles, the bishops, have maintained incorrupt this holy faith. The Church of the Genuine Orthodox Christians in America was established in the 1950's with the arrival of the ever-memorable Archimandrite Petros Astyfides (1915-1997), who later became Metropolitan of Astoria. In 1954 he founded the church of St. Markella in Astoria NY, which later became his Cathedral. 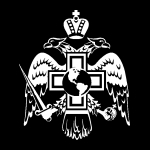 The Church of the Genuine Orthodox Christians of America is a part of the Church of the Genuine Orthodox Christians of Greece, under His Beatitude, Archbishop Kallinikos. In the Church of the G.O.C. in America there are now 58 parishes and missions, 6 men's monasteries and sketes, 4 convents, 7 bishops (3 retired), 72 priests (8 retired), and 21 deacons throughout North and South America. The ruling hierarch of the Metropolis of America is His Eminence, Metropolitan Demetrius of America. His Eminence is assisted by his auxiliary bishop, His Grace, Bishop Christodoulos of Theoupolis. The Metropolis of Toronto, whose ruling hierarch is His Eminence, Metropolitan Moses of Toronto, extends throughout southern Ontario. The Diocese of Boston, whose ruling hierarch is His Eminence, Metropolitan Demetrius of America, extends throughout the states of New England. The Diocese of Etna and Portland, whose ruling hierarch is His Grace, Bishop Auxentios of Etna and Portland, extends throughout the western United States which are in the Pacific and Mountain Time Zones. It also includes, in Canada, Alberta and British Columbia, as well as Alaska and Hawaii. We invite you to visit one of our parishes or to get in contact with us if you have any questions about our Church.